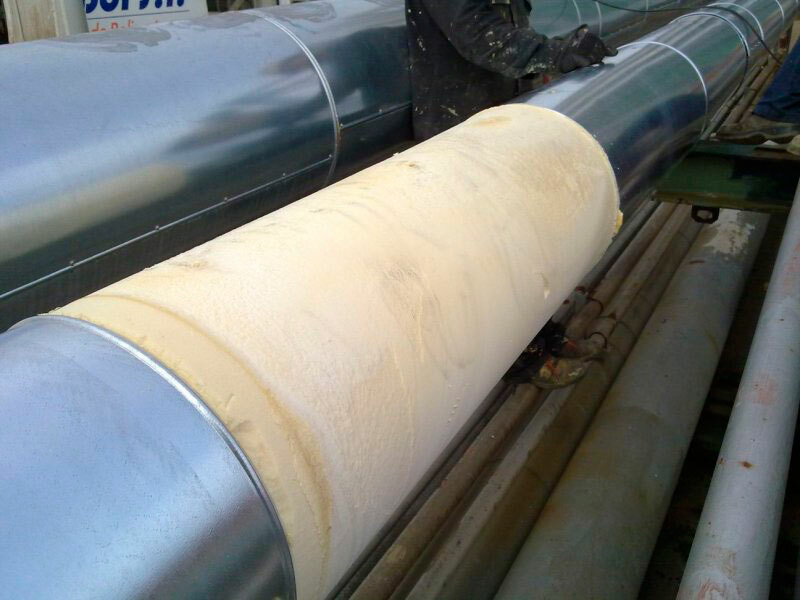 The thermal insulation of tubes and pipes serves a double purpose, on the one side it reduces energy loss through cold or heat, and on the other it ensures the safety of those in contact with the tubes or pipes. Normally this reduction in heat/cold loss will be accompanied by greater energy saving and more efficient productivity and lower costs. The wide range of TECNOFOAM products is designed to offer thermal conductivity specifications ideally suited to all applications. TECNOFOAM injectable products hold the CE marking in accordance with EN 14318 regulations.